On girls festival we enjoy Amazake such a long years ,the amazake is one of traditional Japanese sweet drink made from fermented rice, there are low- or non-alcohol. 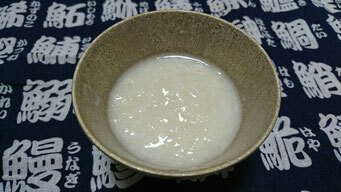 I made non-alcohol amazake it is so easier !! my family enjoys this a lot. 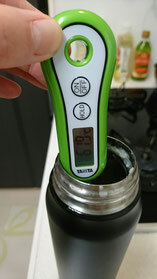 The recipe in Japanese is the bottom of this blog. 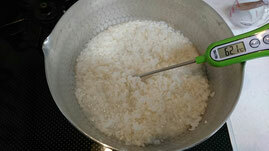 (1)Heat 300ml water and 100g steamed rice put on mid heat. (2)When (1) comes to boil turn off the heat. 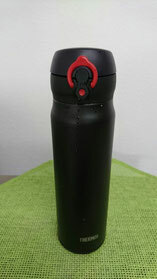 (5)Pour it to the thermos bottle. 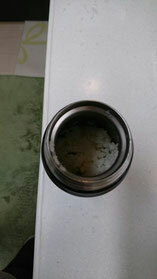 (6)Keep warm it for 3hours.※Have to keep between 50 and 69 degrees. 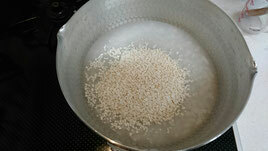 (7)After 3hours check the temputure, if it is under 60 degrees reheat to 60. ※if the taste is not sweet need to keep warm more. There are many ways to enjoy amazake ,drink it just as it is using it instead of sugar, we enjoyed amazake the first drinking, the second it with soy milk and the last is amazake pudding so I will post amazake pudding recipe this month.